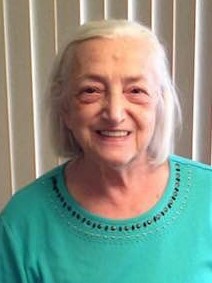 Mrs. Mary Ellen (Ruggiero) Marwood, 84, a former Dolgeville, New York resident and currently of Flower Mound, Texas, died there on January 9th, 2019 after an extended illness. Funeral services will be held later in the Spring, with a Funeral Mass and Burial in St. Joseph's Cemetery, Dolgeville, New York. A complete obituary notice will follow. Arrangements are by the Roberts Funeral Home 3 East Faville Avenue, Dolgeville, New York.